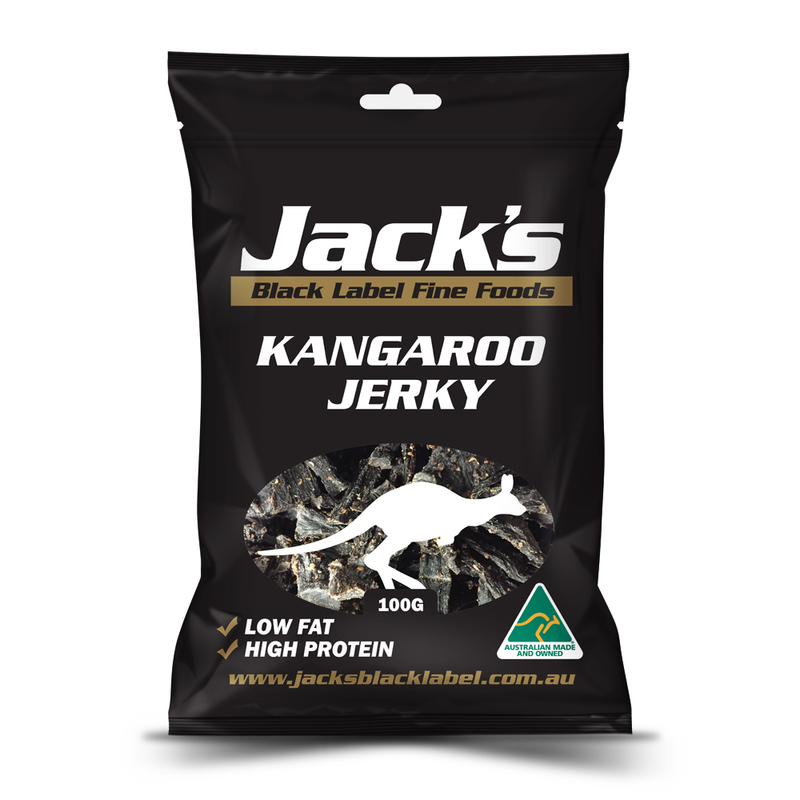 Our Kangaroo Jerky is made using locally supplied Kangaroo Rumps which we only marinate with our original specialty herbs and spices mix to ensure that the unique flavour of the meat isn’t lost. The result? Something that we think gives our original beef jerky range an equally tasty sidekick! 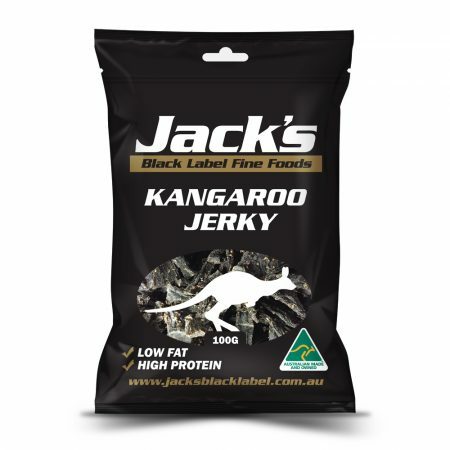 Our Kangaroo Jerky is made using 100% Australian Kangaroo Rumps which are prepared and mixed with our special recipe of herbs and spices along with worcestershire to develop rich flavours. Our jerky is air-dried in our specifically designed drying room before being cut into bite-sized pieces ready for you to devour! If you would like to learn more about our products click here. SKU: KJ-100. Category: Beef Jerky Packs.